Elegant bath shelf as a functional supplement in the bathroom. 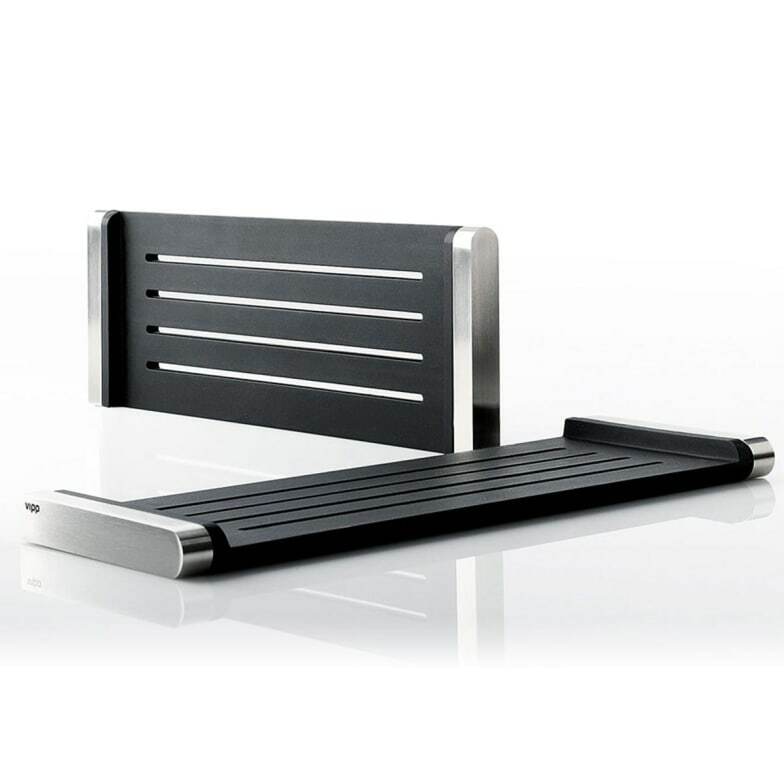 The Vipp shower shelf features a broad rubber surface for better grip. To make for easy cleaning, the custom made rubber inset separates easily from the stainless steel frame. Care instructions: Stainless steel surfaces should be cleaned and polished with a microfiber cloth, glass cleaner or other non-abrasive and gentle cleaning agents. Lacquered surfaces should be cleaned with a moist cloth. Rubber parts should be cleaned with a moist cloth. Apply silicone spray for better finish. Vipp products with dark surfaces should be cleaned with a soft brush and, if stained, with a bit of water. Then wipe with dry cloth. The rubber element of the shelf can be removed with a single click and washed in the dishwasher. Do you have a question about "Vipp 6"? How can we contact you?